Support Home Paya Exchange (PEMS) How To How do I process a credit (refund) in Paya Exchange? Paya Exchange Management System enables users to issue credits to their customers. To find out how to so, please follow the steps below. 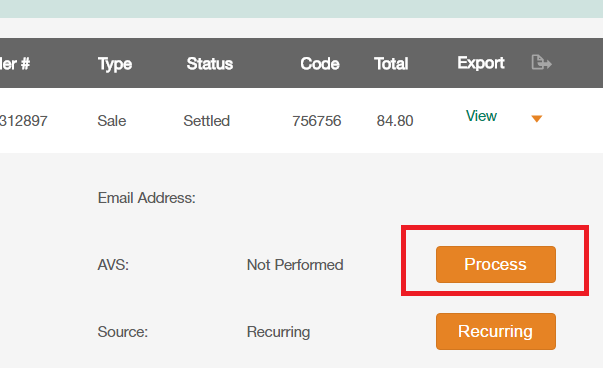 After logging into the Virtual Terminal mini-app, locate the transaction that you wish to refund. The best way to do this is to use the Quick Search link, located on the top-right of the page. After finding the transaction to be credited, click on the small green arrow on the right side to expand the window, then press Process. You will be directed to a new one-time transaction page. The fields will be prepopulated with payment information from the original transaction. To process a refund, change the Transaction Type to Credit. Note: If you do not see the Credit option, please contact your account administrator to have your user permissions changed. By default, the amount of the transaction will match the amount of the original sale (full refund.) If you need to do a partial refund, change the amount of the credit to the amount you wish to return to your customer. Click on Process Transaction to submit the credit. The transaction will appear under your Open Batch, awaiting settlement.